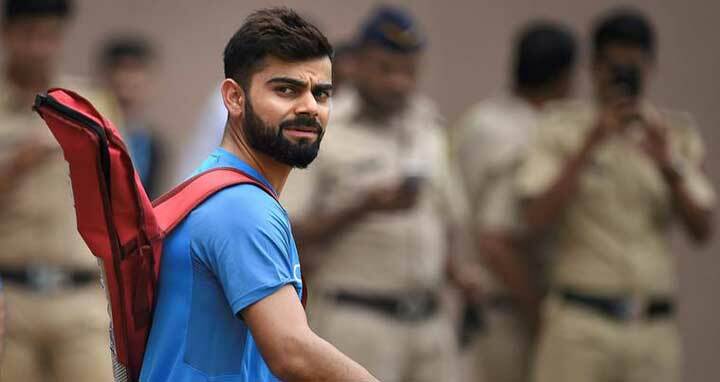 Dhaka, 18 Jan, Abnews: After a prolific run with the willow last year, India skipper Virat Kohli on Thursday swept the International Cricket Council (ICC) annual awards as the 29-year won the prestigious Sir Garfield Sobers Trophy for being the World Cricketer of the Year 2017. Kohli was also named as ICC ODI cricketer of the year 2017 and the captain of both ICC Test and ODI teams. It is the second time Kohli has been named as the ODI cricketer of the year as he won the same honour in 2012 when he was 24 years old. The award, which was decided for performance based on the period between September 21, 2016 to December 31, 2017, the Indian skipper scored 2,203 Test runs at an average of 77.80. The right-handed batsman also scored eight centuries in the time period in the longest format, including five double hundreds. In ODIs, Kohli hammered 1,818 ODI runs at an average of 82.63 including seven centuries, and 299 T20I runs at a strike rate of 153. With Kohli as skipper, India went on to register 9 consecutive series win in the longest format. Apart from Kohli, who was named as the captain for the ODI Team of the year, Rohit Sharma, who smashed a double ton against Sri Lanka in December, becoming the only batsman in the world to have three double centuries in the format, was also included in the squad. The only other Indian apart from the two, who made it to the team was seamer Jasprit Bumrah, who took 56 wickets in 31 matches at an average of 22.73 in the year 2017. Three Indians made it to the 2017 Test team of the year-Ravichandran Ashwin, Cheteshwar Pujara and Virat Kohli, who was also named as the captain for the side. Australian skipper Steve Smith bagged the honour of being the Cricketer of the year in the format. Rising leg-spinner Yuzvendra Chahal was also recognised for his tremendous perfomance in T20 cricket and his 6-wicket haul against England in Bengaluru was recognised as the ICC T20I Performance of the Year.